The International Baccalaureate (IB) curriculum is essential in enabling the Academies to develop well-rounded leaders of tomorrow. Hear from Zia Chapman, Class of 2018, and understand how this influenced her in choosing the Academy for her education. Zia is now a scholarship student at UBC in Canada. 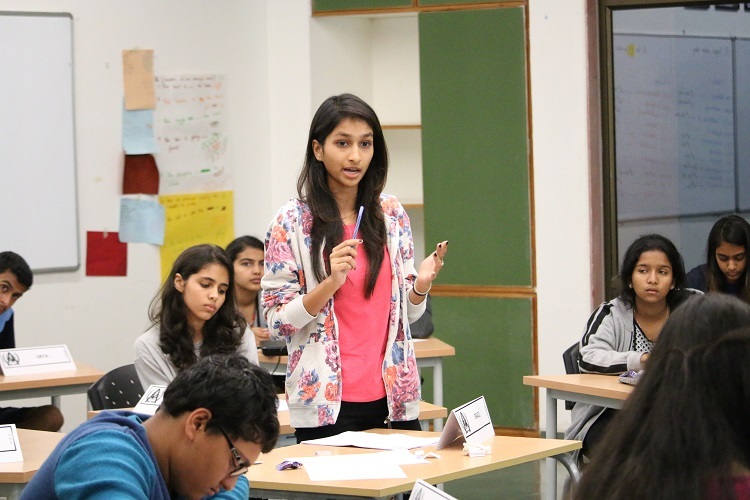 Through the inquiry-based International Baccalaureate curriculum, the Aga Khan Academies aim to develop young individuals who will have the capacity to lead and to build strong civil democratic societies in the future. 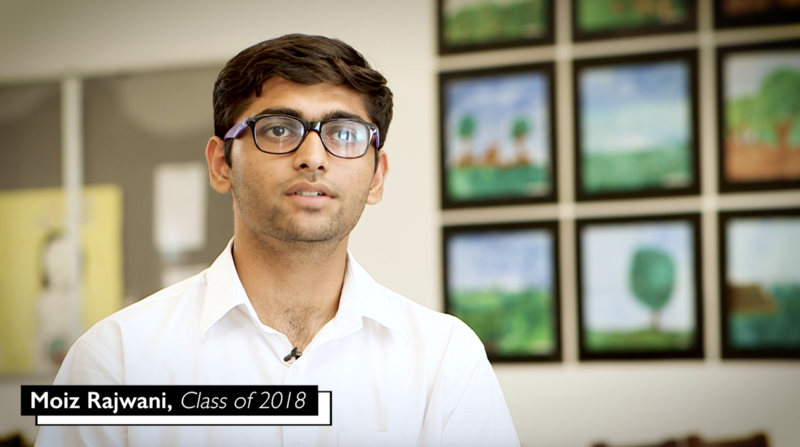 Hear from one of our alumni, Moiz Rajwani, Class of 2018, and see how we have been turning this vision into reality at the Academies. 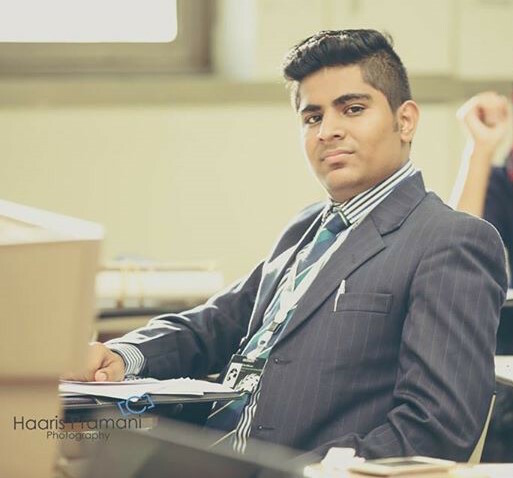 Moiz was awarded a scholarship at Western University in Ontario, Canada and enrolled in September 2018. 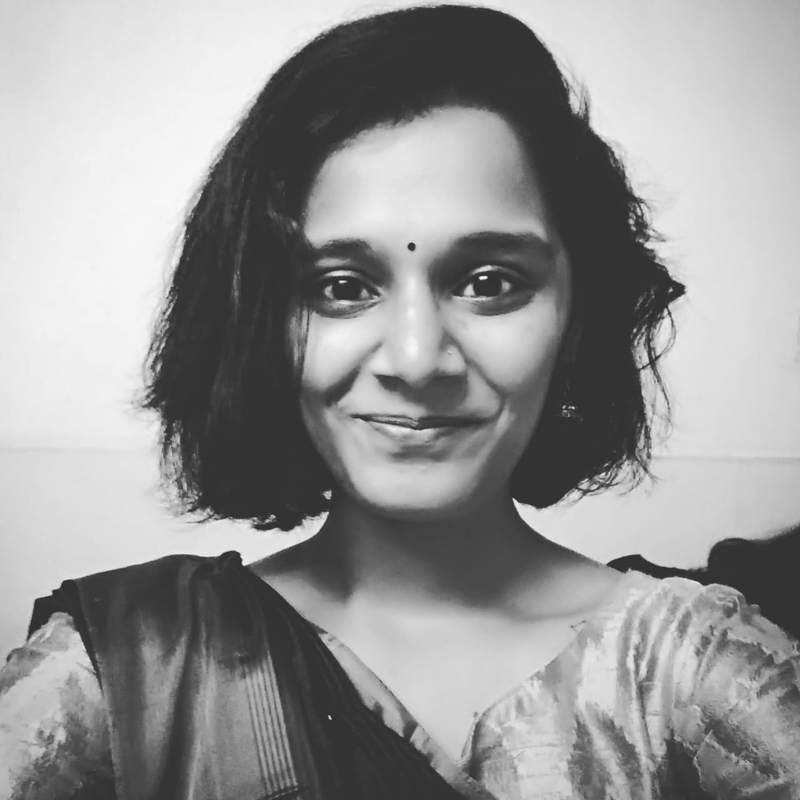 "I always wanted to work with people who spend every single day without any resources at their disposal, to work on the pressing issues that exist in India, issues that most of us never see through our rose tinted glasses." “The IB curriculum followed at the Academy has played a pivotal role in building many skills essential for university life. Its skill-based learning approach, and connecting classroom learning to the real world, also prepared me well for higher education." “The Academy helped me become comfortable with making mistakes and encouraged me to focus on identifying solutions instead – igniting an entrepreneurial spirit within me. It is this spirit which led me to take a year off, work on self-driving cars, build my own news-reading bot, experiment with developing a cloud-storage service and have the confidence to take the road less taken." 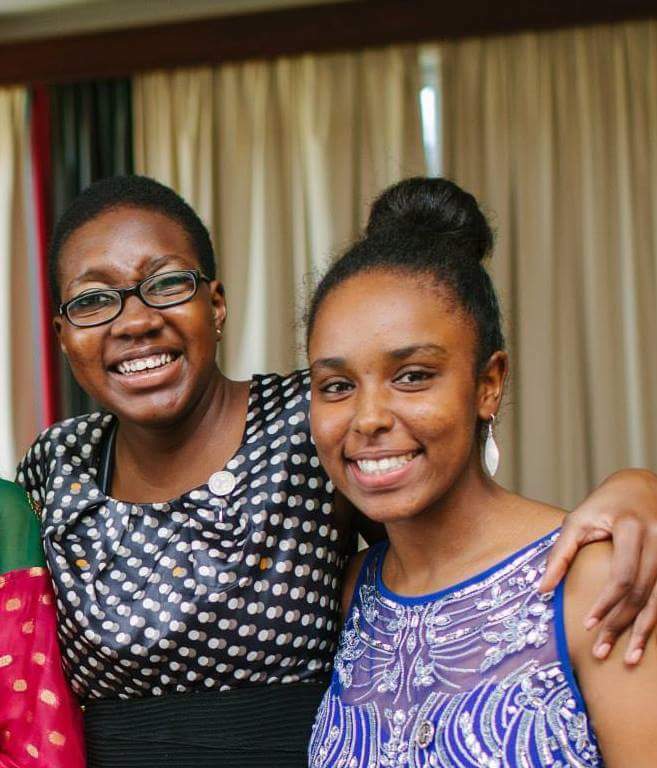 Josephine Awino, alumna of the Aga Khan Academy Mombasa, will be attending Wellesley College for her undergraduate studies in environmental science. She shares a reflection on her personal journey at the Academy in which she developed a sense of self and fostered her passions. 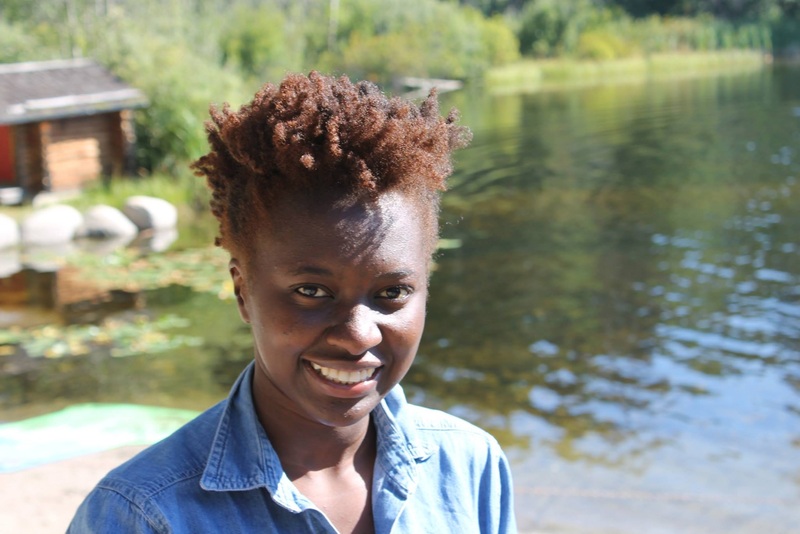 Muriuku Njonjo graduated from the Aga Khan Academy Mombasa with the receipt of a full scholarship to the University of Waterloo in Canada. He shares a personal reflection about his time studying at the Academy: "The Academy changed my way of thinking, my way of doing things and informed my purpose in life." 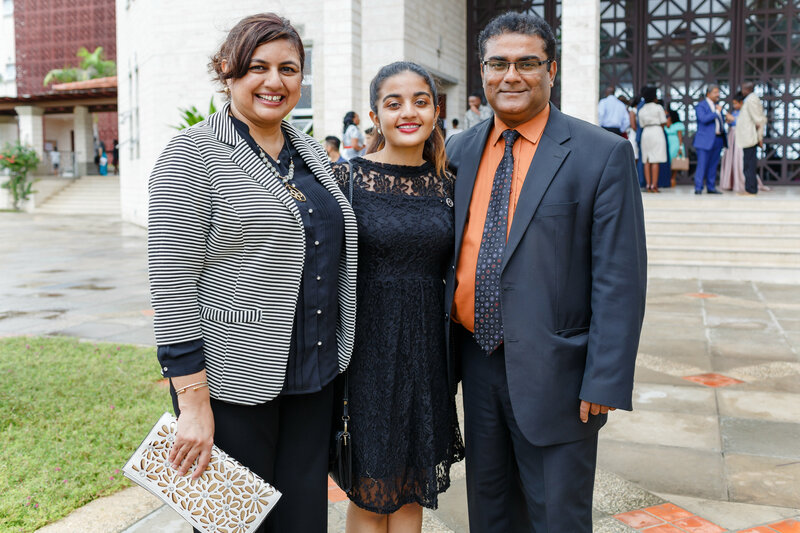 Kamila Janmohamed graduated from the Aga Khan Academy Mombasa this year. 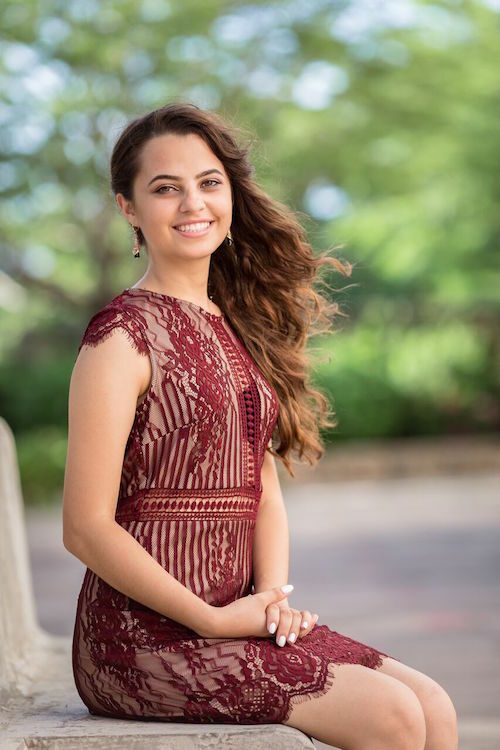 Upon anticipating her upcoming start at Yale University, Kamila reflects on the intellectual growth and strong sense of self she has developed over the past four years at the Academy. I love that my classes are filled with students from all parts of the country, irrespective of their financial standing or cultural background. I strongly believe it helps build our vision of pluralism. 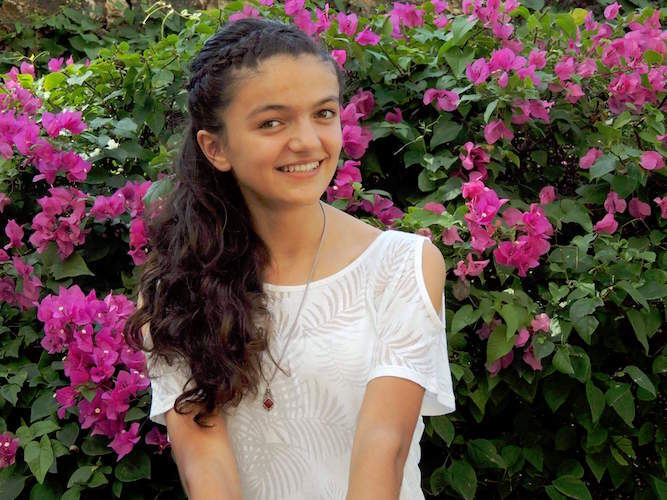 Graduate of AKA Mombasa Muslima Niyozmamadova tells the story of her journey to the Academies and shares how she developed the determination to help her home country of Tajikistan. 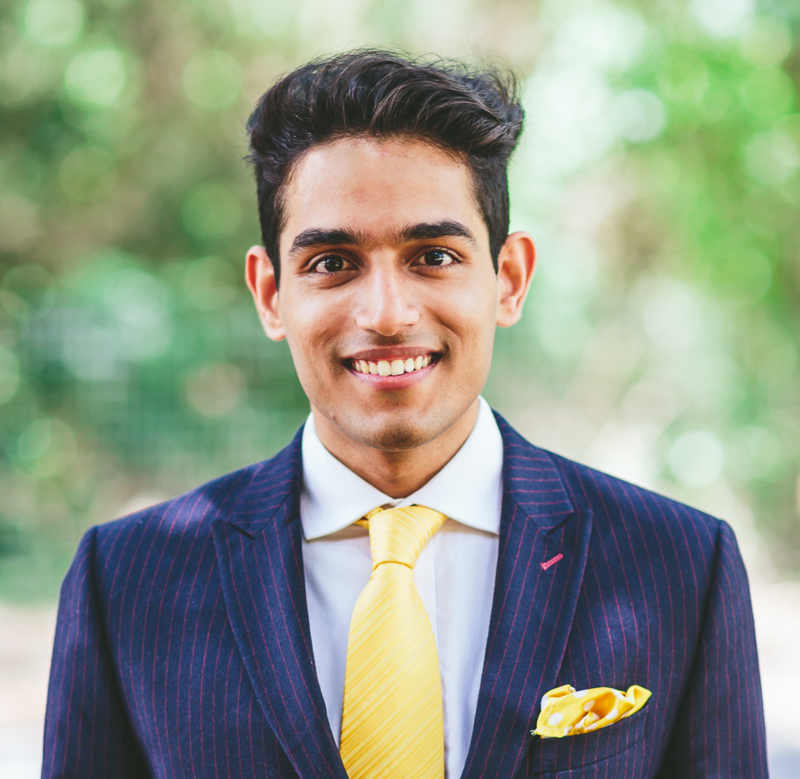 Ariq Kapadia, alumnus of the Aga Khan Academy Hyderabad, shares a reflection on his personal journey during his time at the Academies: "The experience that I had in those five years at the Academy continues to develop me further and make me more capable of success." 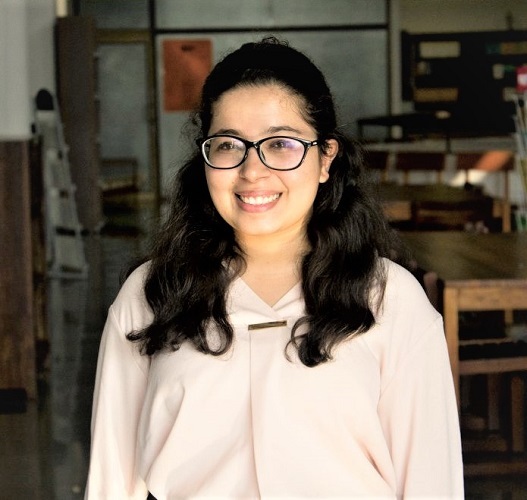 Ganjina Vanjova reflects on her time at the Aga Khan Academy Mombasa: "Describing the Academy to someone requires an explanation of how it does more than provide an education: it aims to build character, with leadership, ethics and pluralism at its core." 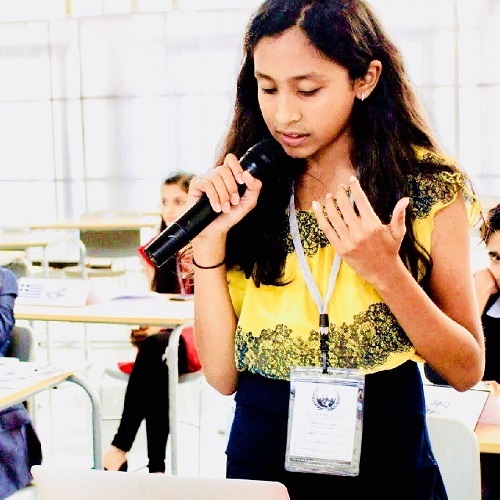 Inaara Sarfani shares a reflection on her personal journey at the Aga Khan Academy Hyderabad. She explains that her time as a student there entirely shaped the person she is today and allowed her to develop a far-reaching skillset. Joshua Abuto tells an inspiring and promising tale of what drives him to sustain his vision of making a difference in the lives of his fellow citizens in Kenya. 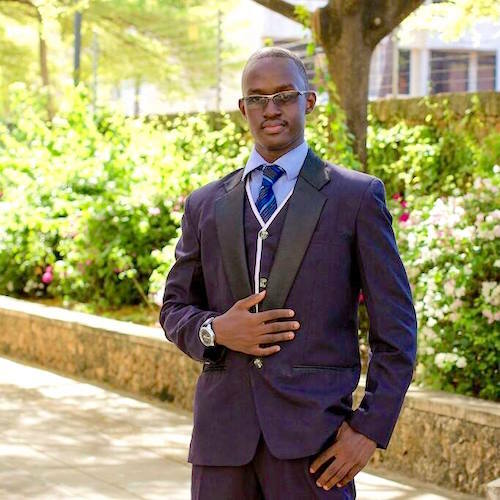 A 2016 graduate of the Aga Khan Academy Mombasa, Joshua is currently in his second year at the University of Texas at Arlington on a scholarship where he is studying computer science and engineering. 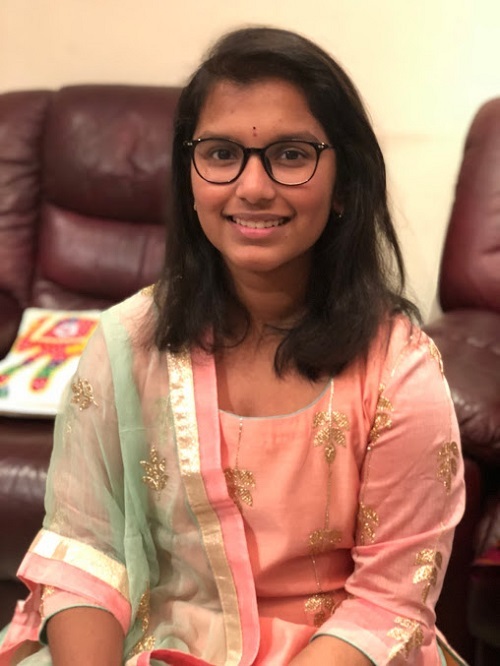 Khushboo Shah shares a reflection on her personal journey at the Aga Khan Academy Hyderabad: "I believe that the Academy’s dynamic vision has allowed me to believe in my imagination, passion and curiosity while pursuing ambitious projects." 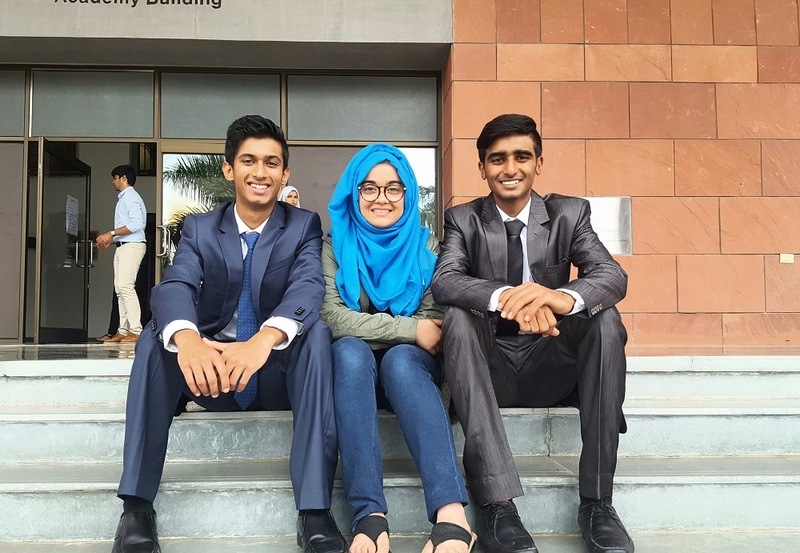 Imtiyaz Hariyani credits the Aga Khan Academy Hyderabad with giving him more than just the academic skills he needs to succeed at the undergraduate level. 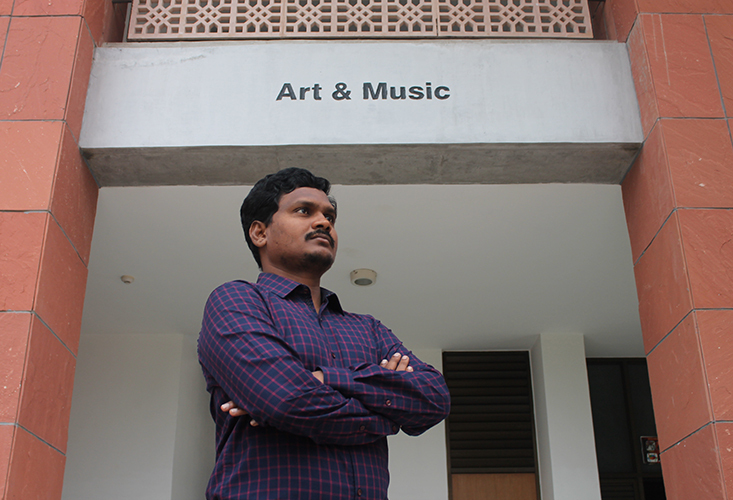 “The spirit that the Academy embedded in me has allowed me to emerge as a global scholar with the support of my family and lifelong friends that I made in Hyderabad and elsewhere,” he explains. 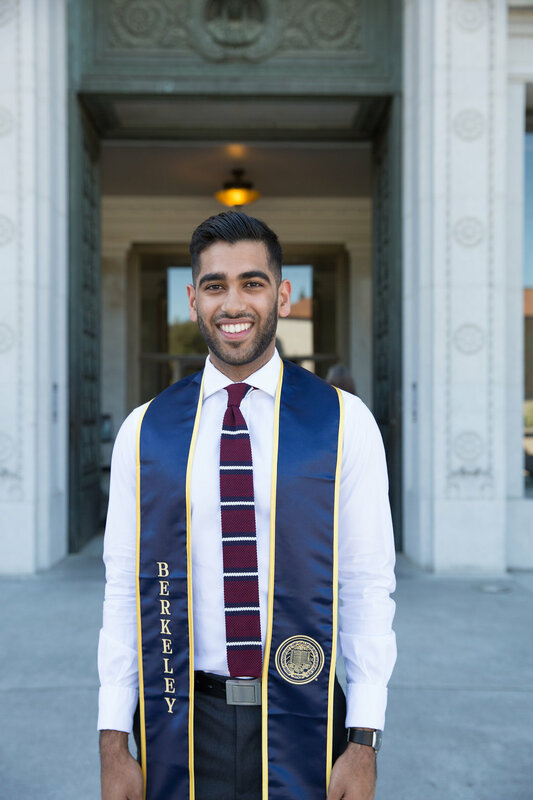 An alumus of AKA Mombasa and University of California Berkeley, Rahim reflects: "The Academy helped me to grow to be the man I am today by instilling values of social conscience and intellectual curiosity that I continue to hold precious today." Mary considers her time at the Academy in Mombasa to be a gift. 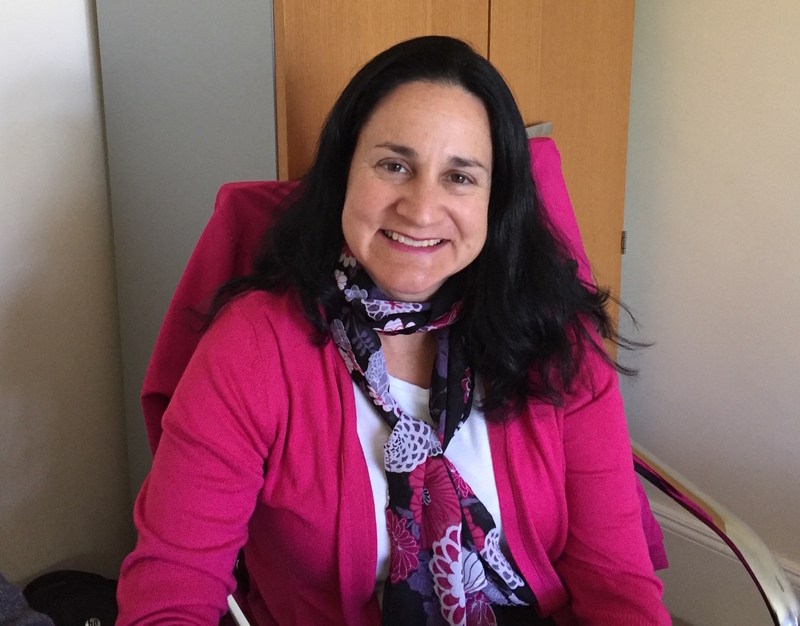 With compassion and leadership, she is determined to help students with similar backgrounds succeed and receive the same opportunities she was granted. 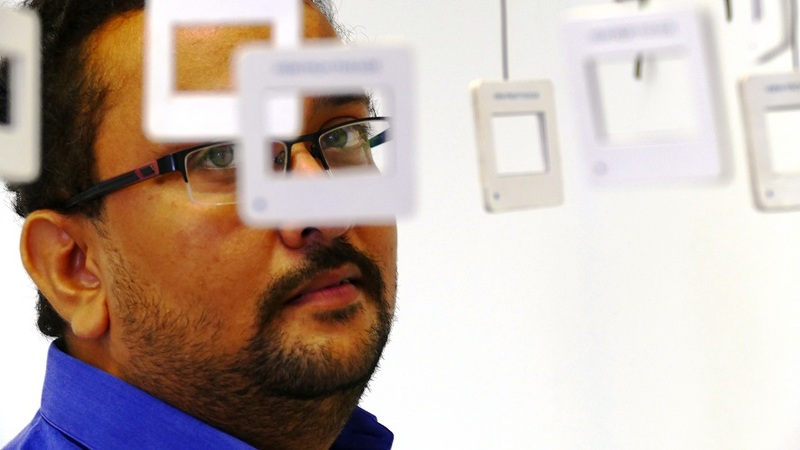 Danish is global citizen with a creative approach to life. 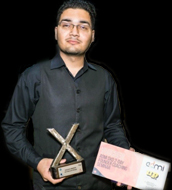 One of his many achievements is the award-winning app, Orai, which aims to make anyone become a better public speaker using artificial intelligence. 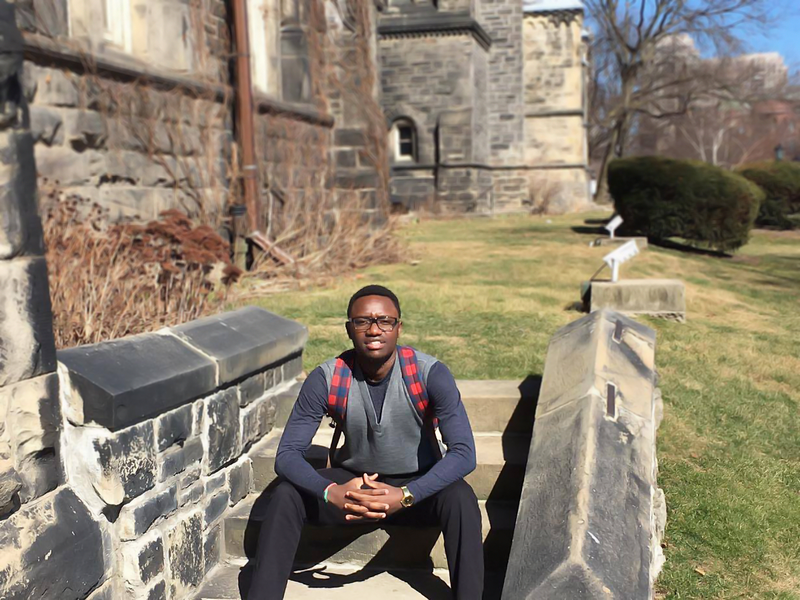 “I believe that with education, people have the power to tackle and solve problems that affect their communities,” reflects Kelvin Njue, a graduate from the Aga Khan Academy Mombasa who has benefitted from the Ontario Tuition Waiver Programme. 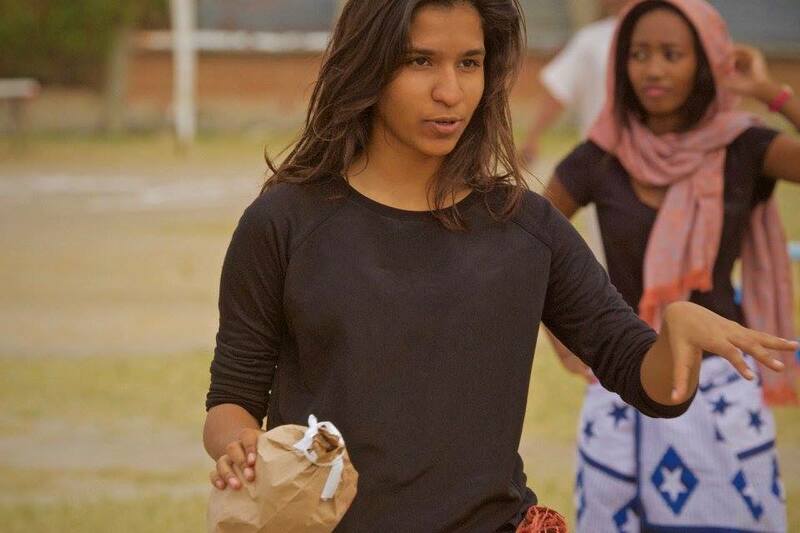 Ruhi Kamal Manek, an alumna of the Aga Khan Academies Mombasa, took away one enduring lesson from the Academy: the importance of engaging in thoughtful and careful consideration of diverse opinions. 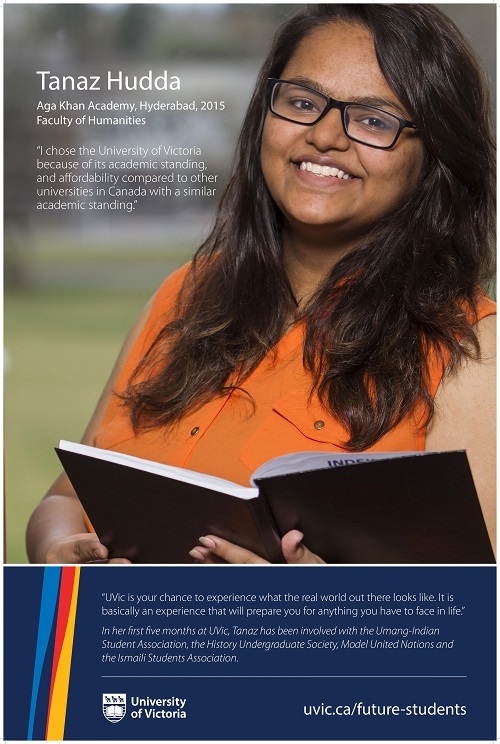 Tanaz Hudda currently acts as the new poster girl for the University of Victoria. 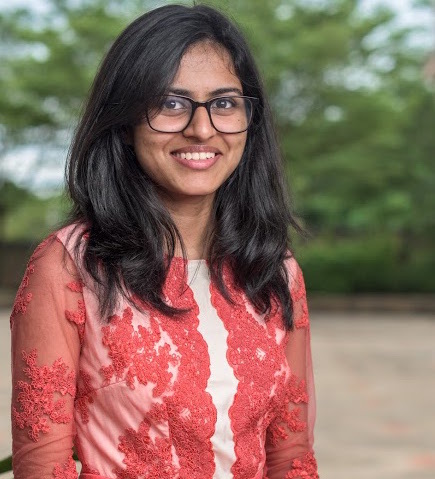 She graduated from the Aga Khan Academy Hyderabad in 2016 and has just completed her first year of university in Canada. Aleem Mawji shares his journey of self-discovery, which began at the Aga Khan Academy Mombasa and continued towards creating tangible change. Khushboo Khoja has a strong passion for helping others which she developed during her time at the Aga Khan Academy Hyderabad. “I feel like my experience at the Academy was very significant as it made me realise that I am interested in working with social issues and trying to help communities,” she reflects. 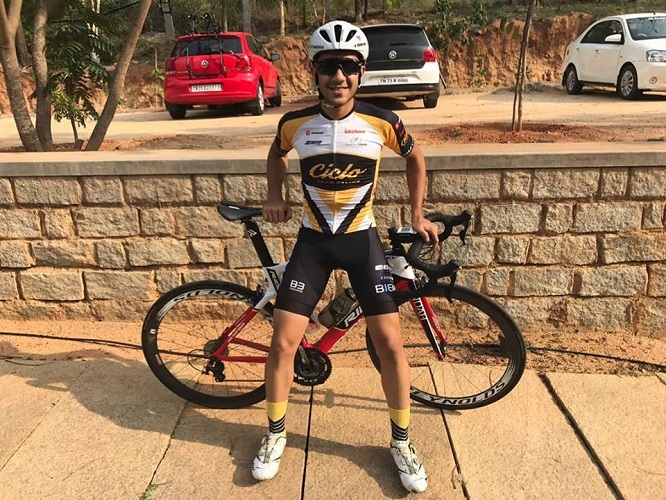 Aman Punjani graduated from the Academy in 2016 and took a gap year to pursue his career as a competitive cyclist. 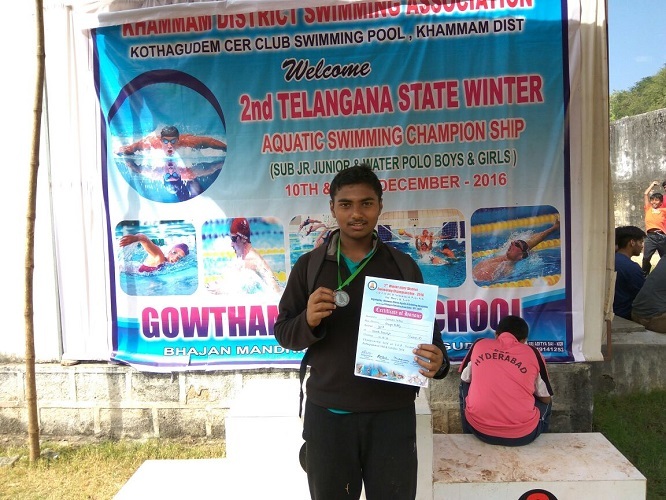 Today, he is the U-23 Telangana state champion. “Being part of an open-minded community that encouraged challenging what we were taught, the willingness to accept one another, and inspire each other to grow constantly, was very refreshing. 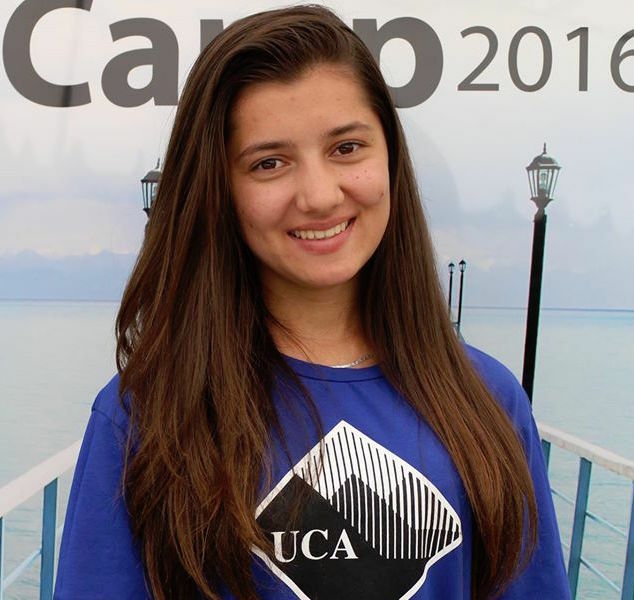 I credit these experiences for much of who I am today.” – Dania Quadri, Academy alumna, class of 2014. “I think that at the end of the day what everything comes down to is how we can be citizens of the world and how we can change the world that we live in to make it a better place for ourselves and children that follow us. 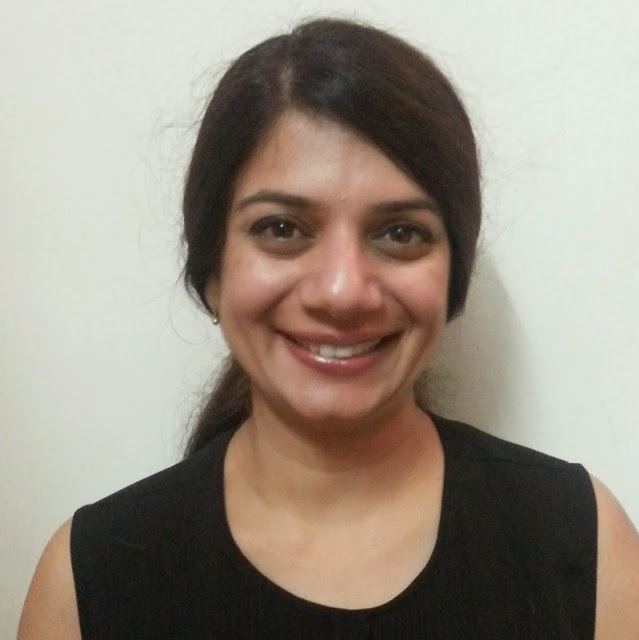 And part of that also means giving back to your own community,” says Karishma Bhagani. "The Academy is an environment that challenges and nurtures leaders that are fearless, courageous and stewards. I have always envisioned growing up to be one myself." 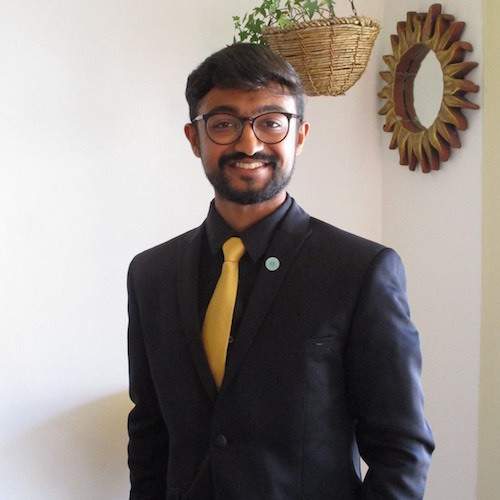 Kashyap Gohel, who graduated from the Aga Khan Academy in Mombasa, tells us about his experiences and how the Academies contributed his many accomplishments. 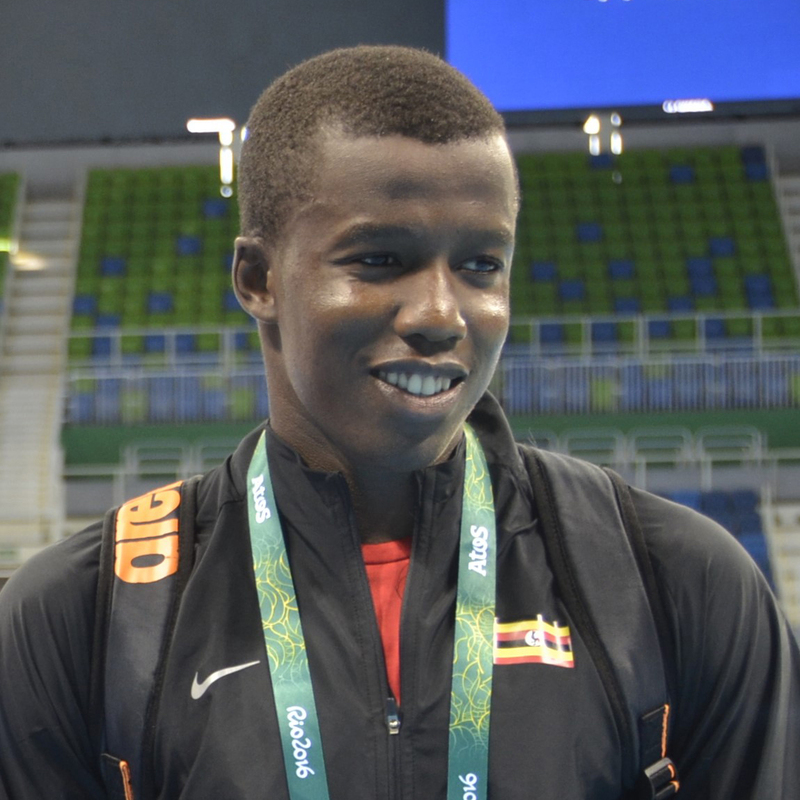 Ham Serunjogi, an alumnus of the Aga Khan Academy Mombasa, is a natural leader, bold thinker and team player. 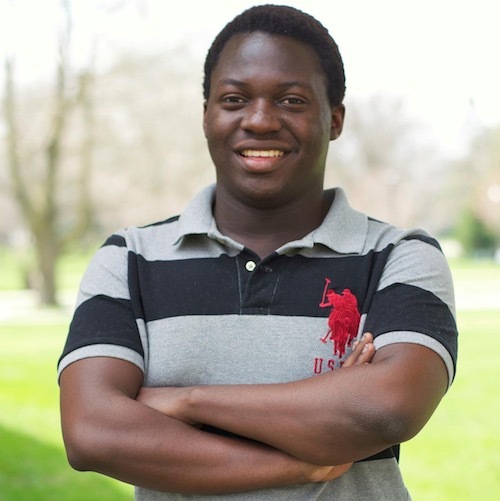 A recent graduate of Grinnell College in Iowa, Ham traveled widely before landing a job at Facebook. He has a passion for making connections that give back. "There are a lot of values that the Academy instilled in me that I carry to this day. It has taught me importance of being aware of the community around us as well as giving back to the community whenever possible." Fatema's passion for helping those around her continues to be nurtured following her graduation from the Academy. 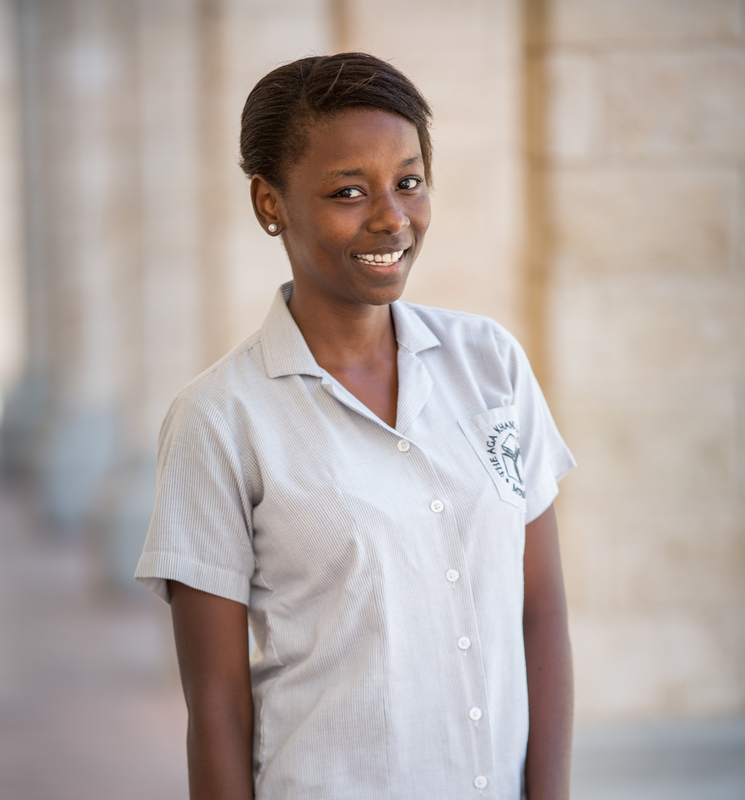 “I believe [The Aga Khan Academy, Mombasa] is where I shaped my values that I still hold to this day. 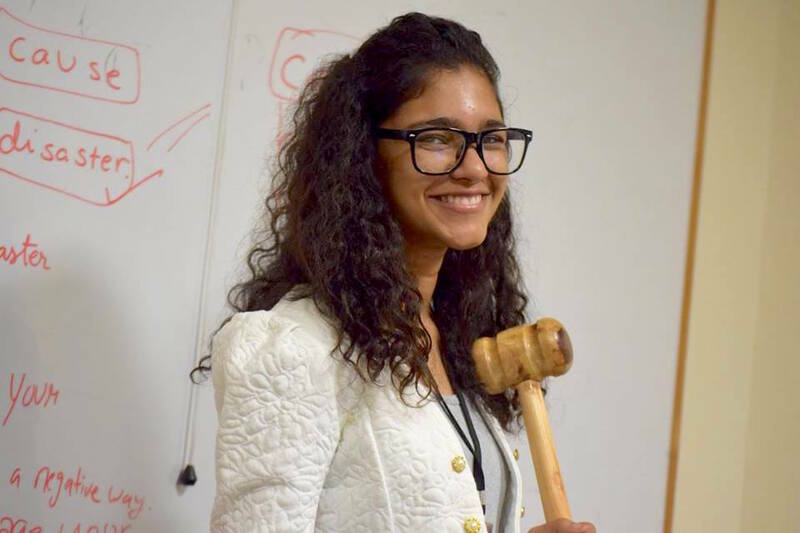 It is also where I saw and felt the importance of building a community, no matter how large or small.” Indeed, the importance of these values to Mirabelle Arodi is obvious in her actions after graduation from the Academy. 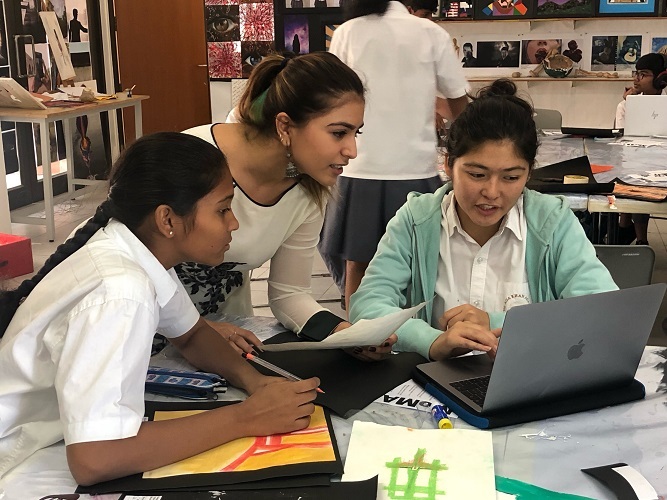 Anjum Budhwani always wanted to teach at the Aga Khan Academy Hyderabad, and since she got the job seven years ago, every day of work has been special. “Compassion builds a strong relationship between teacher and student,” she says. 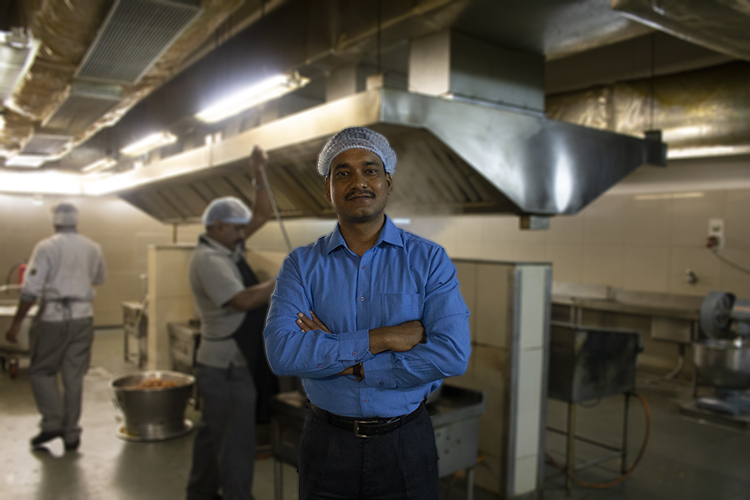 AKA Hyderabad catering manager talks about his experiences as an artist, an army man, and a chef. “A person can be responsible and efficient towards his job only when has known himself,” he says. 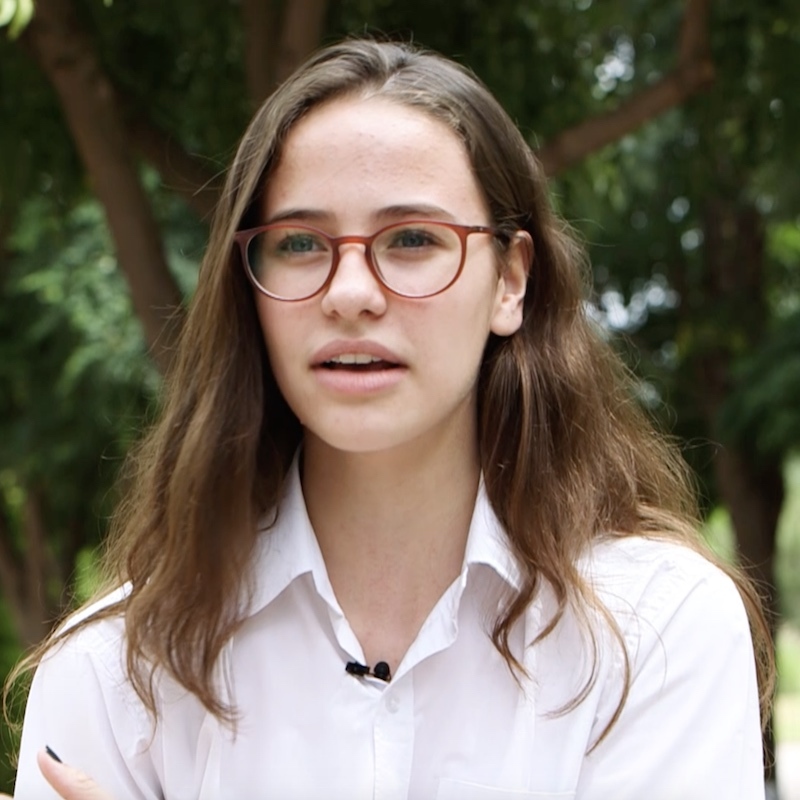 Students Cinzia Torriani (year 10) and Alisha Doshi (DP1) interviewed Alison Hampshire, the new Head of Academy at the Aga Khan Academy Mombasa. They discussed important themes in education, passions, dreams and life lessons. They should always feel that I’m there for them, no matter the situation, or condition or time of day. You have to tailor yourself to the needs of the students... I change myself, as per their needs. Jonathon Marsh has system-wide responsibility for teacher development at the Aga Khan Academies network and has worked for the Academies for the past 10 years. 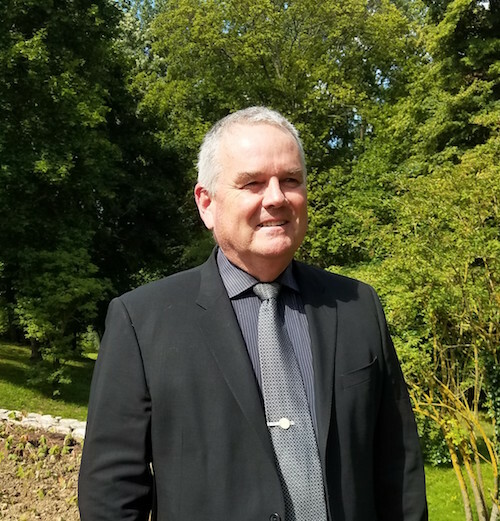 In this interview, he shares the highlights of his position at the Academies, and reflects on how the Academies are unique from other educational institutions: "I see the profession of teaching as critically important to the health and ongoing development of any society. As such, I can think of no better way to contribute to the betterment of humanity." The Teacher Preparation Programme (TPP) is one of the Aga Khan Academies’ landmark teacher development initiatives. 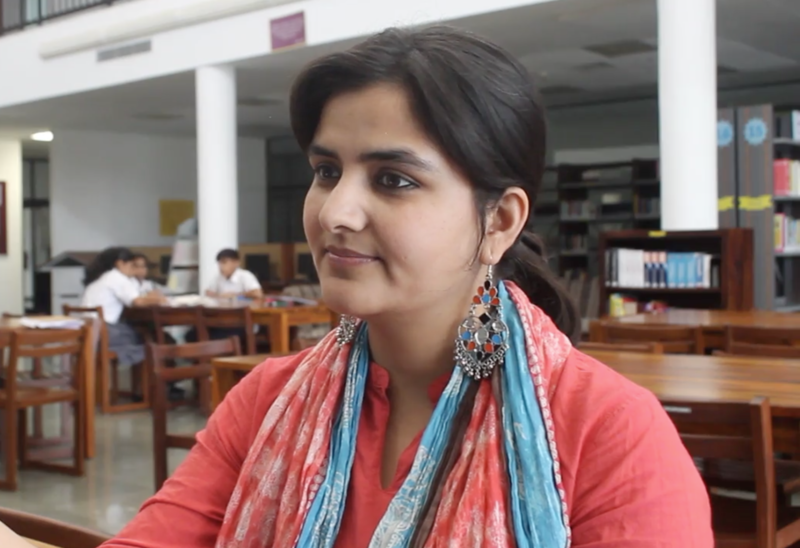 In this interview with Kamini Menon at the Aga Khan Academy Hyderabad, TPP participant Maryam talks about the TPP’s unique aspects and her experience with the programme. Inner delight and the satisfaction obtained from working for a cause are the rewards I seek from my work. 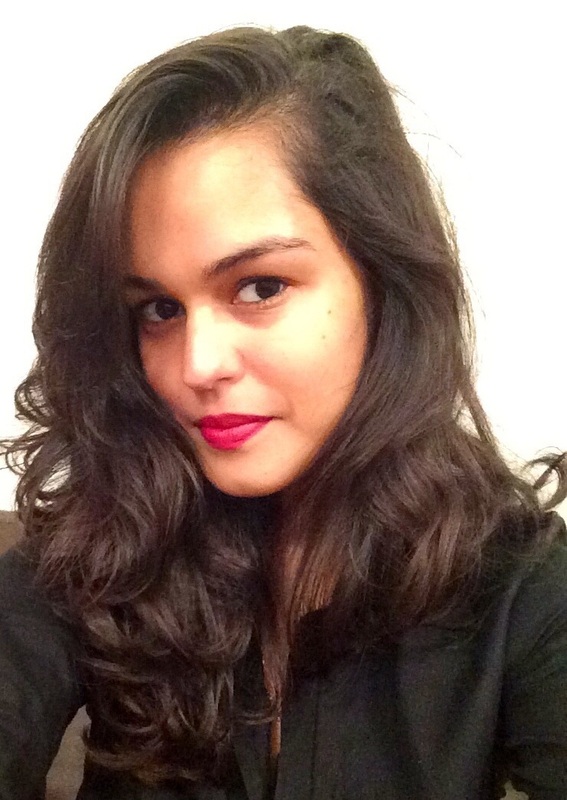 “I have always been inspired by the philosophy and implementing agencies of the Aga Khan Development Network, and it brings me great joy to have found a way to realise that career aspiration." 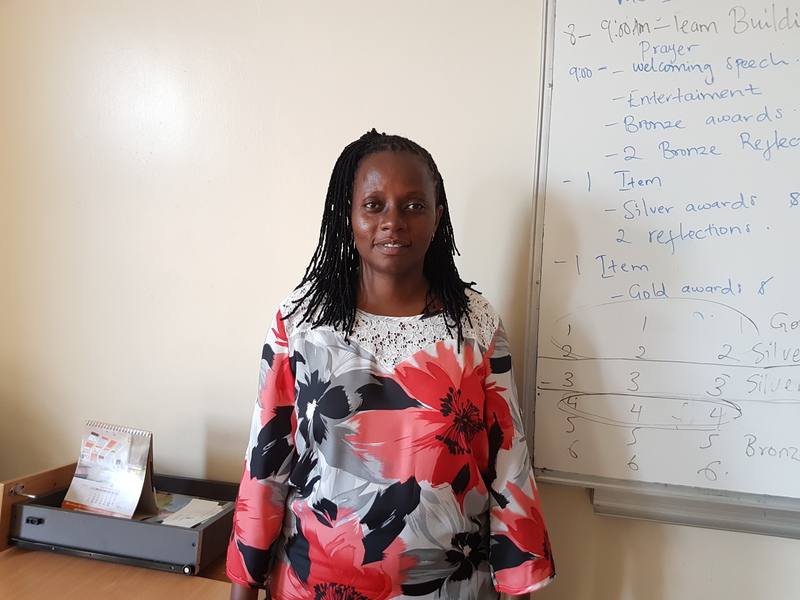 Nuala, the Learning Student Support Coordinator in Mombasa, endeavours to improve social outcomes through strategic planning and capacity building at the local government and community level. She explains her role, her journey and the culture of pluralism at the Academies. Bernardo learned from the Aga Khan Academy that knowledge cannot just be seen as something that starts and ends in a classroom, but that knowledge should also be applicable outside the classroom to solve real problems in real life. 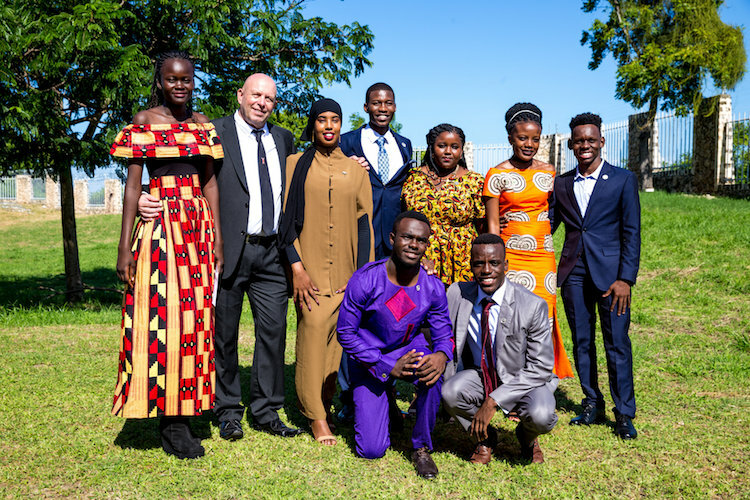 Courageous and confident, Maria Atalia Matola travelled out of Maputo in Mozambique for the first time in her life to teach at the Aga Khan Academy in Mombasa as part of the Academies’ Teacher Preparation Programme (TPP). "What one must paint is the image of resemblance—if thought is to become visible in the world" - Rene Magritte. 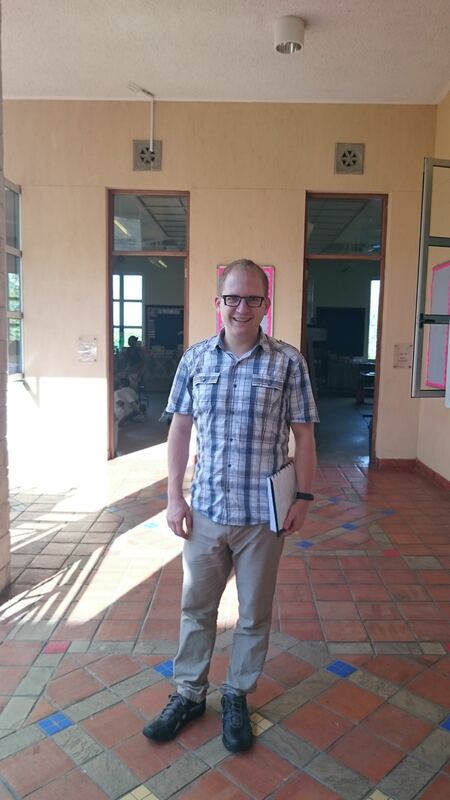 “I have had the opportunity to grow and learn as both an educator and an individual through my interactions at the Academy and through daily life in Mombasa," reflects Andrew Jones, a teacher seconded to the Aga Khan Academy Mombasa from Ontario. After his time at the Academy in Mombasa, Andrew has gained insight into three best teaching practices that he will share in Ontario. Theresa Urist has always had a strong desire to support students in their academic careers, which led her to the position of Global Director of University Counselling in 2015 at the Aga Khan Academies. Lucy Mwandawiro has been a chemistry teacher at the Aga Khan Academy Mombasa for 11 years. 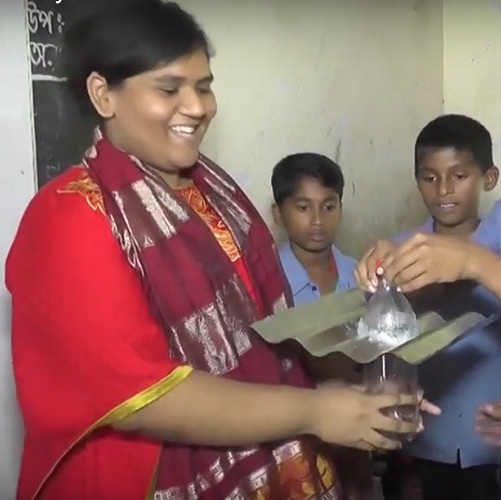 However, she has grown and developed in many more areas, such as her involvement with the Educating Girls in Science project and her role as a dorm parent in the residences. 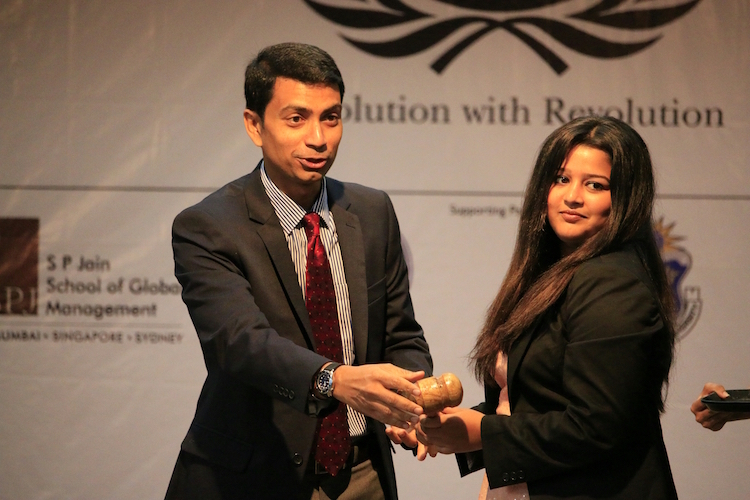 Here, she shares some insights about her journey at the Academy. 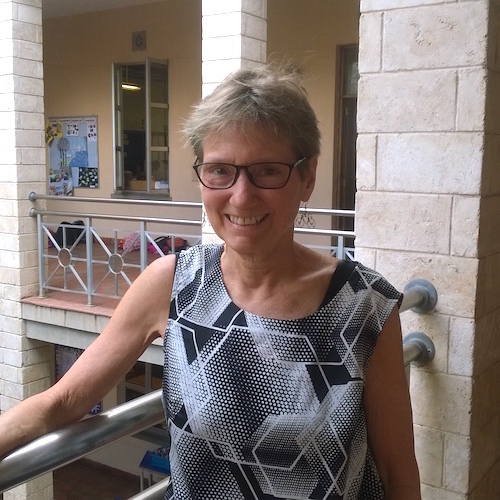 Christine Robertson is a veteran Ontario teacher who began a secondment to the Aga Khan Academy Mombasa in April 2016. She talks about her experience of coming to Kenya and her first days of getting to know the Academy. Vasanthi Thandlam, the Academy's Senior School English as an additional language specialist, has been selected as an Operation Smile sponsor for the Vietnam Medical Mission. 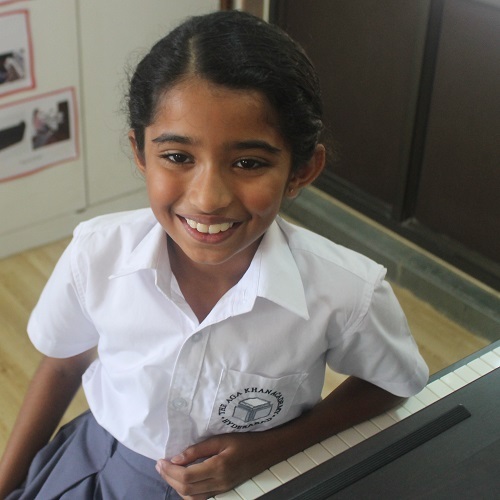 Aanya Athota, grade 4K, is currently the youngest student being accepted to appear for the highest graded music examination conducted by the prestigious Trinity College London. She dreams of becoming a global music icon and spreading peace through music to make our world a better place. One day, a friend taught Ananya, grade 3, how to do a cartwheel. 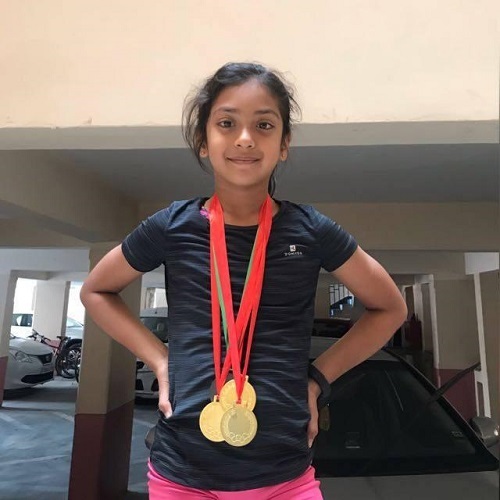 There was no turning back, and she recently won gold medals at two city competitions in 2018! 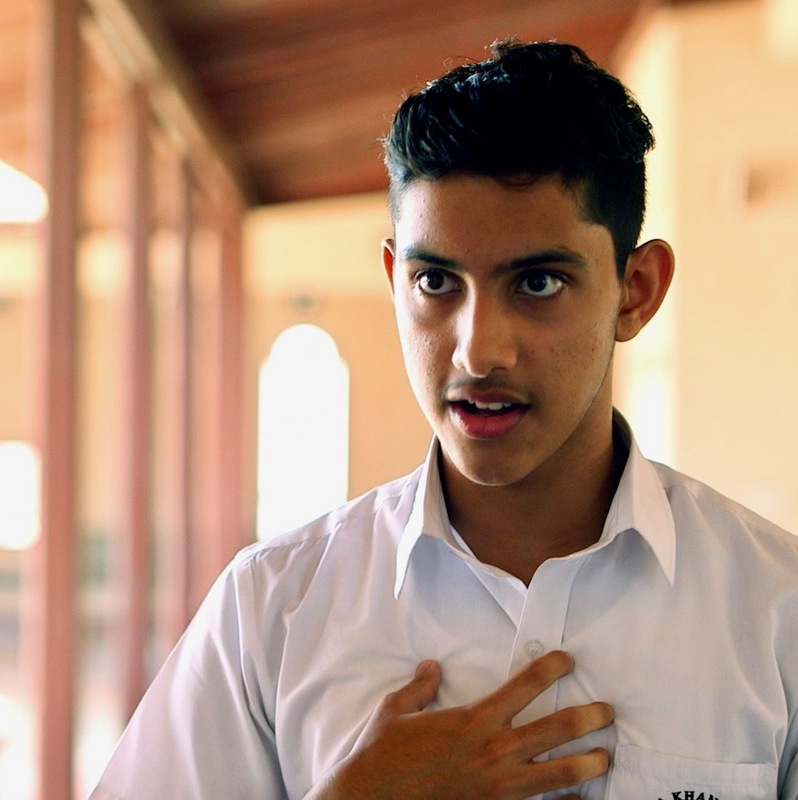 Meet Bilal, currently a student at the Aga Khan Academy Mombasa. 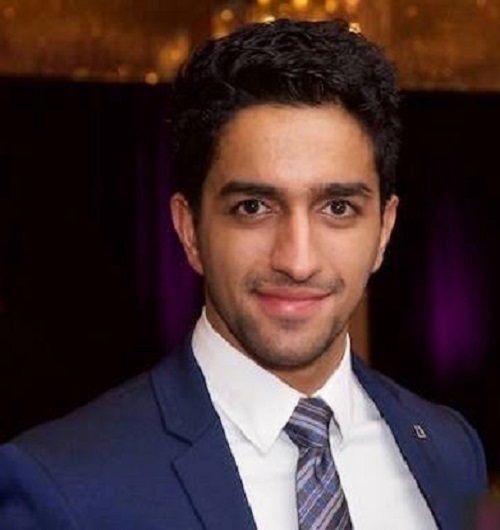 For Bilal, studying at the Academy has instilled in him the value of learning whilst always thinking about the bigger picture: understanding how his studies today will impact the world tomorrow. Paul Davis, the Dean of Admissions at the Aga Khan Academy Mombasa, has led the Talent Identification Programme for nearly ten years. The programme identifies students in Year 6 in Kenyan government schools, in deprived socio-economic and educational areas of Kenya, who are academically able and show leadership potential. This May, seven of these students graduated from the IB Diploma Programme. Paul shares their marvellous stories. 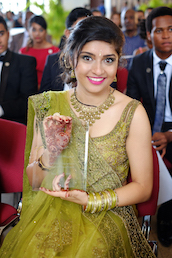 “The Academy has a very unique, highly diverse and multicultural environment,” says 2018 graduate,Tvisha Devavarapu. Set to pursue a career in biology and research, read about this house captain's experience studying and playing at the Academy. 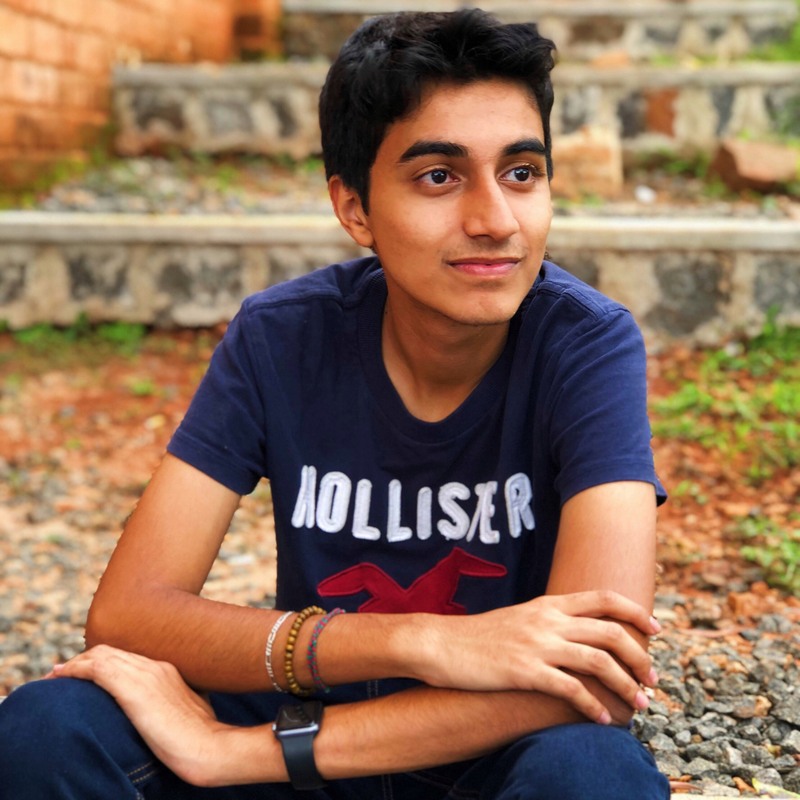 “When I was learning robotics as part of the enrichment club I never imagined that I would become the captain for a robotics team,” says DP1 student, Rudra Potluri. Now approaching his 6th year at the Academy, Rudra reflects on the opportunities he’s had in his academic career so far and the ways in which he has grown. 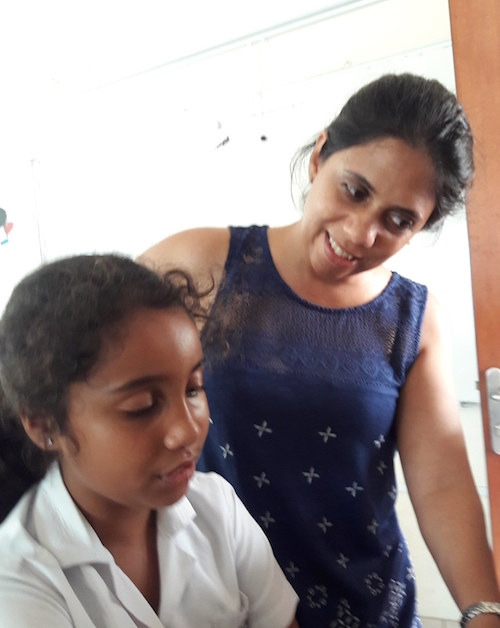 Areesh Rehmani, a grade 6 student at the Aga Khan Academy Maputo, is a determined and dedicated learner. 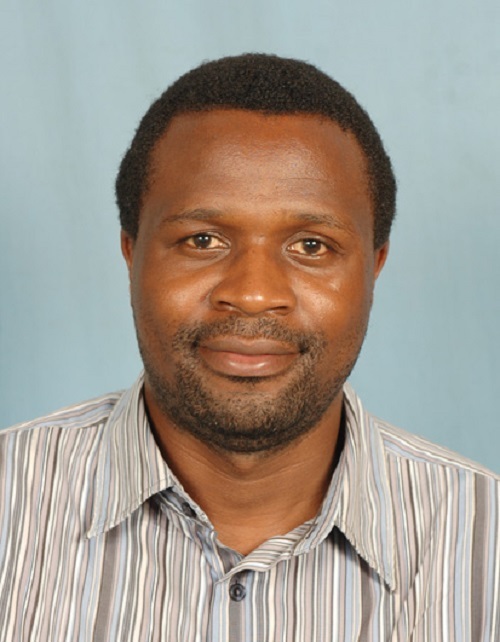 He has a passion for sports and a curiosity for scientific innovations and technological growth. 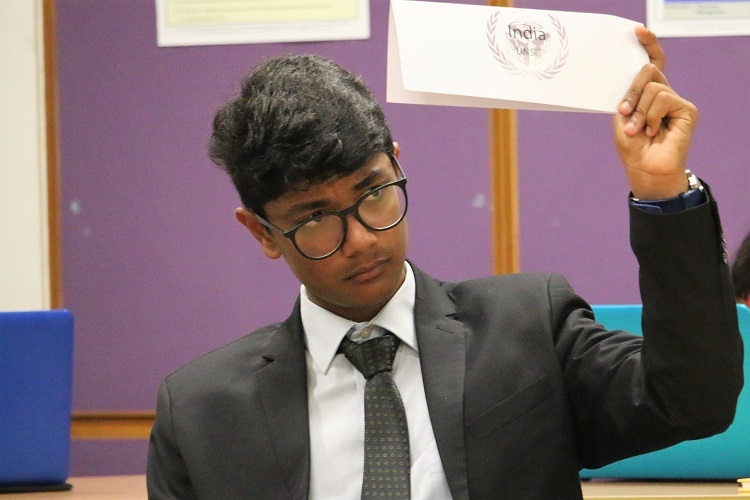 Areesh shares how his learning is fuelled by the learner profile and by the values instilled in him at the Academy. 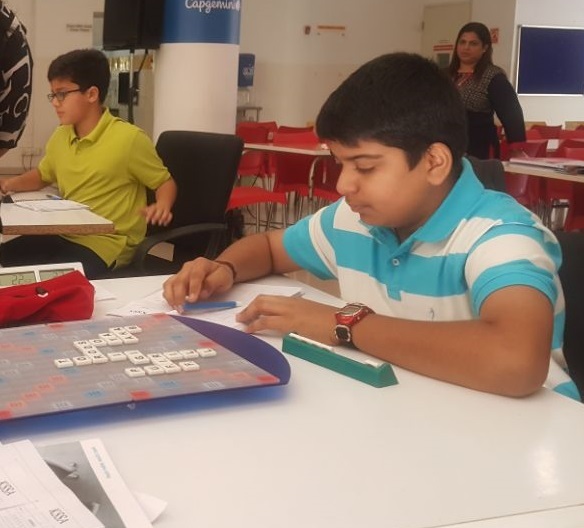 Kelvin Bagthariya, a second-year Diploma student at Aga Khan Academy Hyderabad, believes the Academy has changed his mindset, teaching him to become independent, improving his self-esteem and allowing him to pursue his passion to make a change in his community. 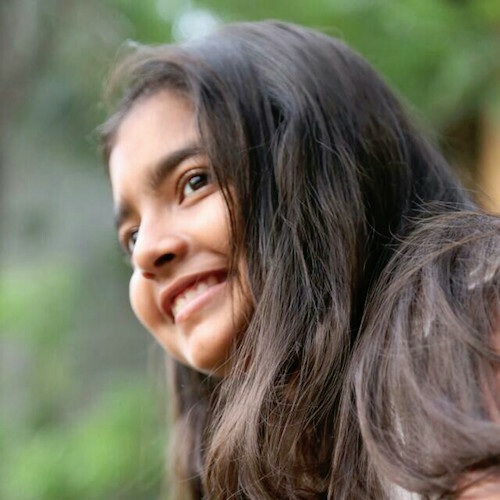 Anahita Aman is in her seventh year at the Aga Khan Academy in Hyderabad. She is full of hopes and dreams and strives to get the most out of her days at the Academy so that she can ultimately give back to the community and society at large. 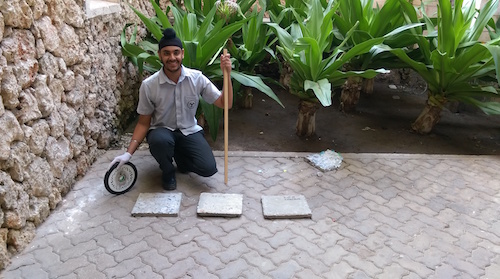 Saifan Aswani, a student at the Aga Khan Academy Mombasa, knows the value of taking the time to appreciate his surroundings. He credits his experience of the past three years at the Academy for instilling in him the discipline of hard work, an appreciation of diverse cultures and the motivation to pursue this responsibility. 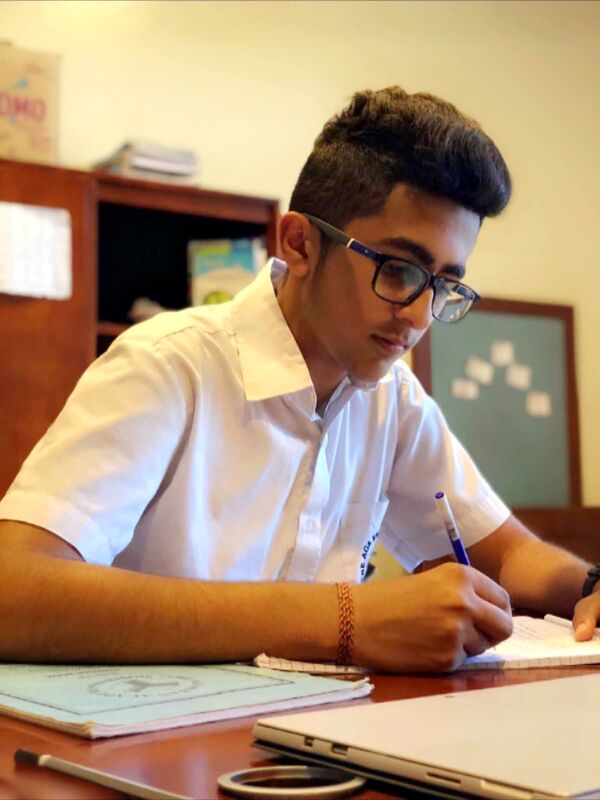 In his final year of the Diploma Programme at the Aga Khan Academy Mombasa, Shad Bherani is ambitious, curious, and driven to become an engineer. 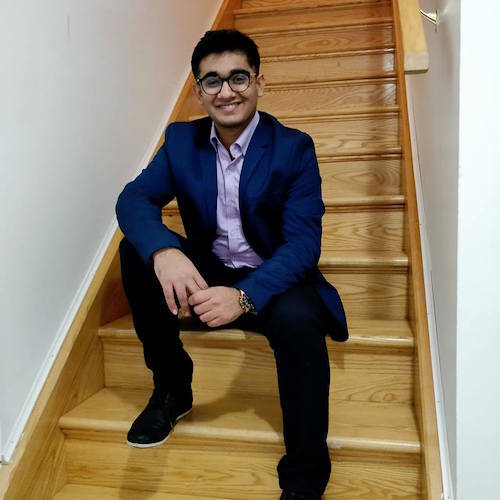 Shad aspires to use his education and career as an engineer to give back and to serve his country and its people, by assisting in Pakistan’s development through technology. "I can’t be racing while I’m on campus, so I decided to become an automotive journalist and am now the head author of an automotive blog, 'The Drive Hub.' 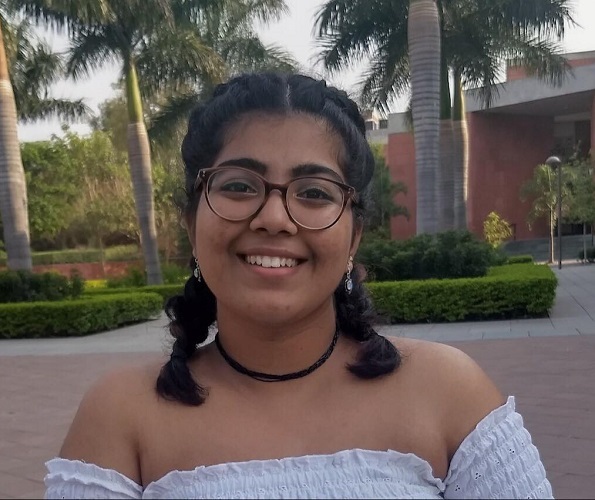 "
Through a personal reflection, Arzoo shares her experience at AKA Mombasa as she reflects on her journey in her final year: "Through the Academy I have made many of my dreams a reality." Attending school here has helped me recognise my potential, not just in studies but also in hobby sports! I love Scrabble and I want to become a professional player. Being part of a team and also having been given positions of authority has taught me about leadership and the qualities one should inculcate to be an inspiring leader. Being a global citizen, leader and environmental enthusiast is no easy task. 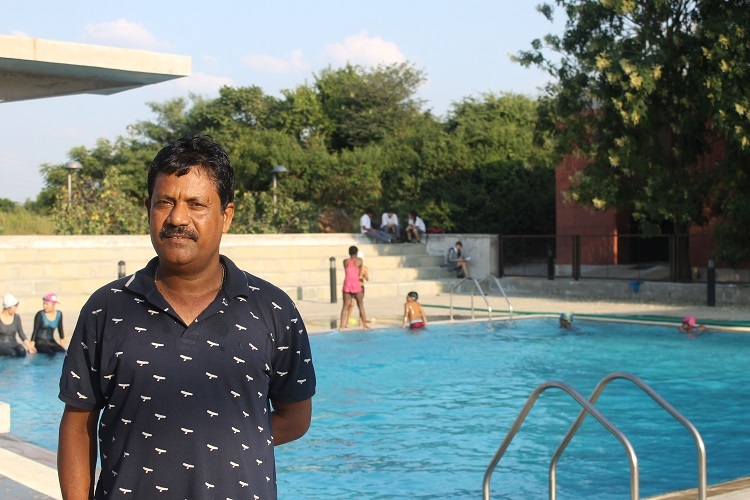 Prabhdeep Lochab’s story is a testament to the hard work, dedication and commitment that goes into innovating “green” solutions for a sustainable future. 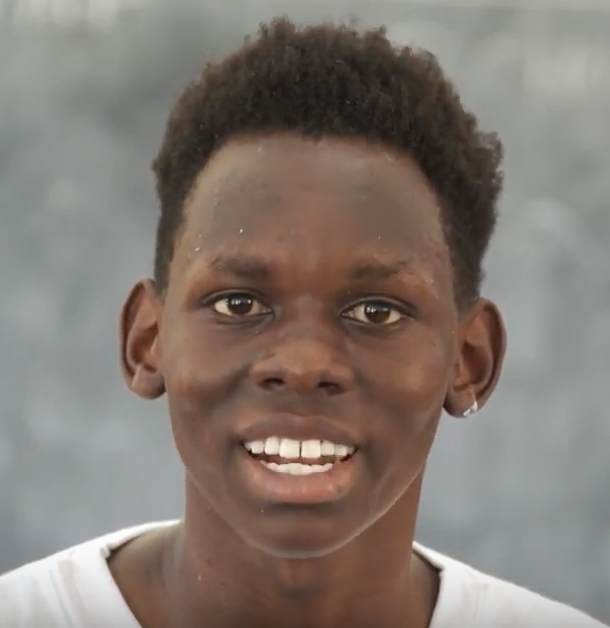 Meet Sadiq, a student at the Aga Khan Academy Mombasa. 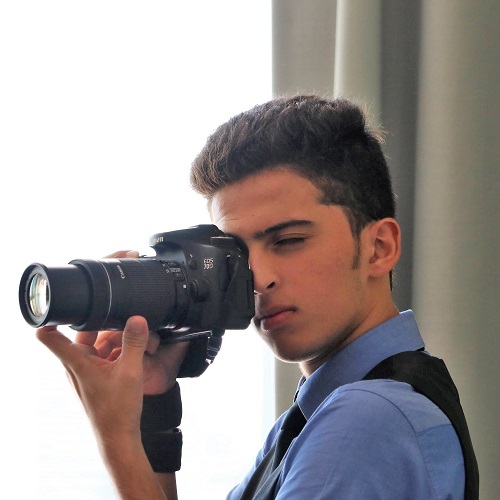 Open-mindedness, confidence and time management are some of the many characteristics he has developed at the Academy that will help him achieve his dream of becoming a journalist. Meet Saumya, a student at the Aga Khan Academy Mombasa. A musician and a leader, she shares her wisdom on what it means to make a true positive impact. "Being able to stand in front of 250 students and fulfilling the opportunity to give them what I had been given, was one of the most rewarding experiences of my life." Introducing Ivy, a student at the Aga Khan Academy Mombasa. Her innate drive for self-growth and desire to give back to the community makes her a true home-grown leader. 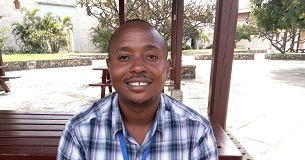 Meet Felix, a student at the Aga Khan Academy Mombasa. With a keen early interest in science, he shares his dreams for the future and explains how the Academies have helped foster his ambitions. This is Stephen, a student at the Aga Khan Academy Mombasa. His passion for community service shines as he expresses the growth in perspective he experienced through his education at the Academy. 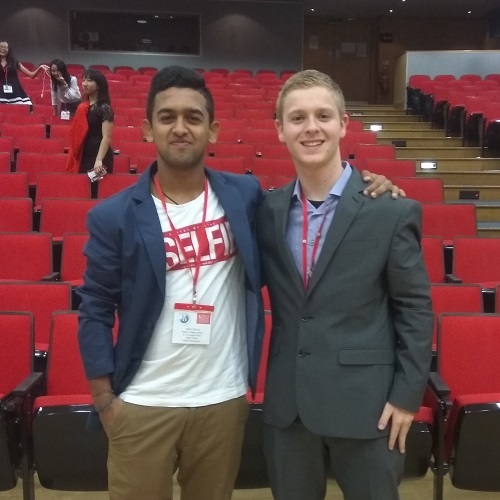 Sahir Devani, grade 11, shares his experience as an Academy representative at the IB World Student Conference held at King’s College London, from 6-12 August 2017. 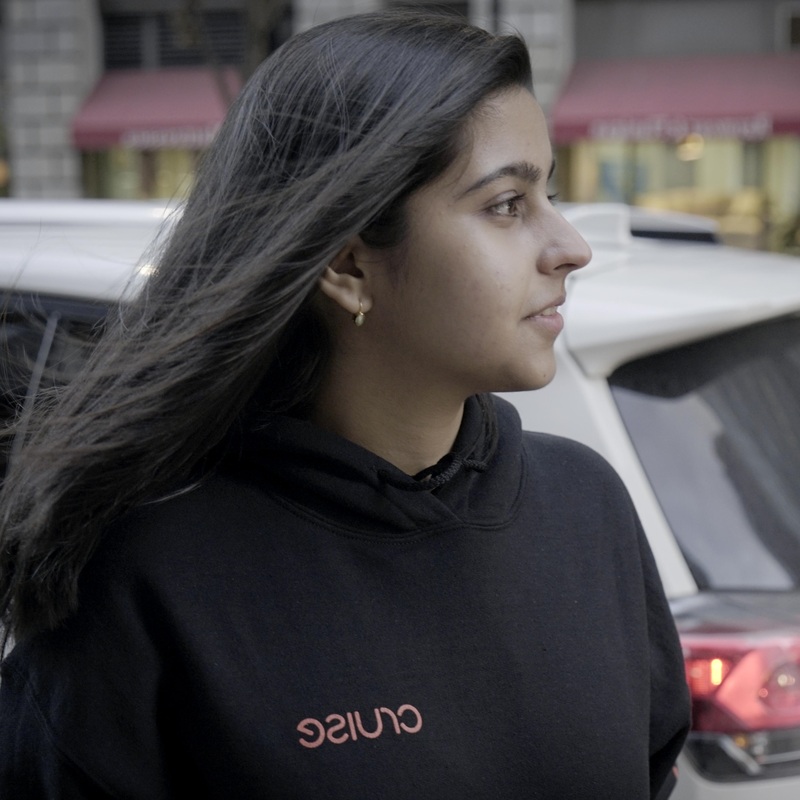 Sayema, currently in grade 11, directed and produced an impactful short film to create awareness on child rights for her IB MYP Personal Project. 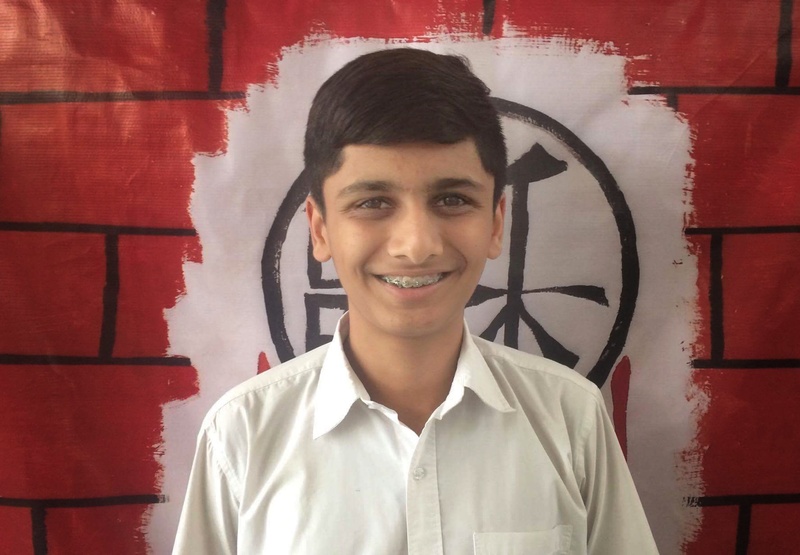 “For me, the best part of school is when we have service class, because I am very keen on serving my society and helping the community around me develop faster.” - Sazil Ramani, grade 10, Aga Khan Academy Hyderabad. "I wish to continue sharing my knowledge, what I have learned and will continue to learn, with my society." 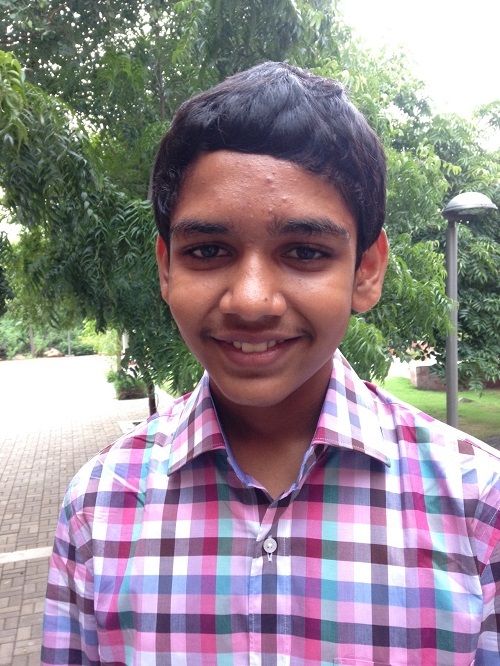 Advait Surana is a residential grade 10 student at the Aga Khan Academy in Hyderabad. He was selected as one of 18 students from different schools to represent Telangana state at the national U-15 football tournament in Delhi in early September 2016. Mrs Aneela Mukhi and Mr Altaf Mukhi, parents of Faliha Altaf Mukhi, share their experience: "Through our chain of observation, the Aga Khan Academy Mombasa surely plays an active role in the holistic development of every child. This is our consistent finding all through the two years of IB Diploma programme our daughter studied."